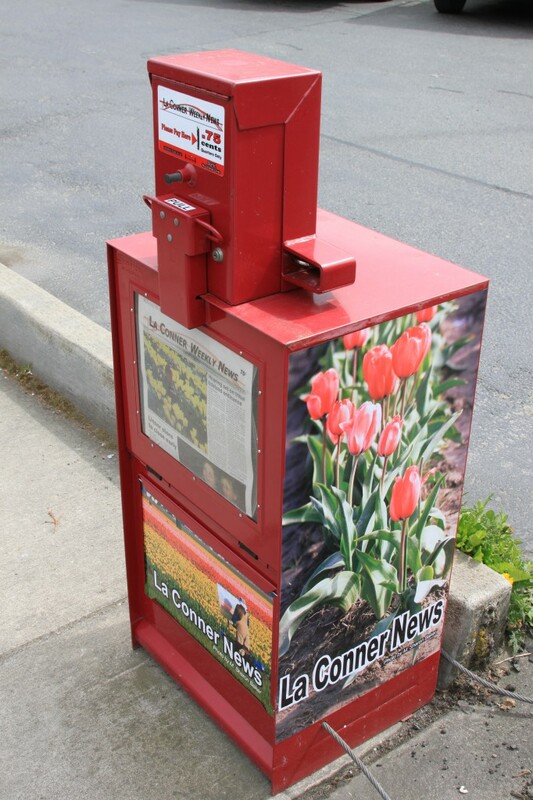 My name and work popped up all around La Conner, WA on all the La Conner Weekly News’ paper boxes earlier this week. I took the photo of the artist in the tulip field last year. 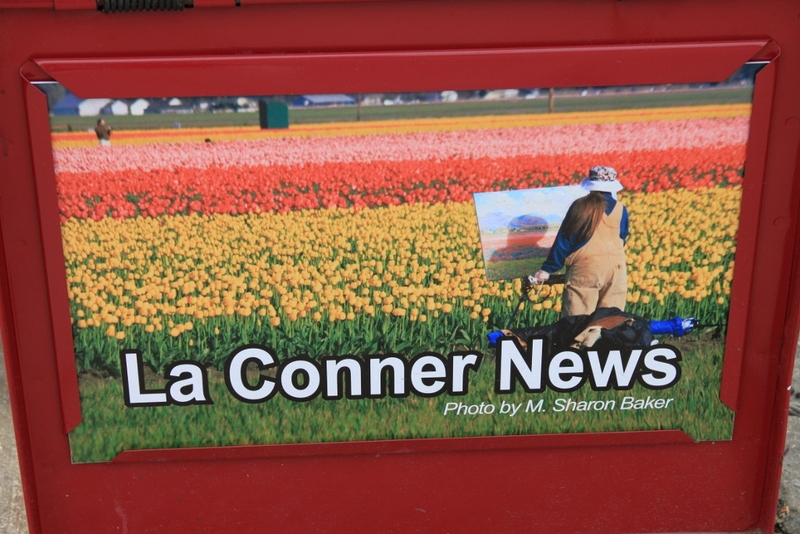 I also took the red tulip row photo on the side panel below.